And there was me thinking this was just another Friday. Little did I know, there’s far more to it than that. While it’s not Christmas, Easter or even Halloween, Frisky Friday isn’t to be scoffed at; as the name suggests, it’s a momentous occasion. 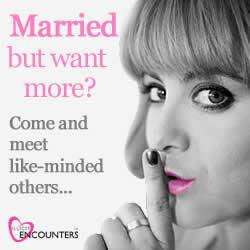 Namely, it’s the ‘peak day for affairs’ as adulterers cheat before they jet off on their summer holiday with the family, so says IllicitEncounters.com. I’m willing and able not sure what to make of it myself, but if you are one of the 70% having an affair today, godspeed, I guess? For those of you who didn’t plan for Frisky Friday, fear not, as September, the third most adulterous month of the year, is right around the corner.